Bayern Munich centre-back Mehdi Benatia is allegedly a summer target of ours, but the Moroccan international would apparently prefer a move back to Serie A side Roma, as reported by the Mirror. The 29-year-old has struggled with injuries and form this season, consequently failing to nail down a regular starting spot. This, combined with the fact that Borussia Dortmund’s Mats Hummels is being heavily linked with a summer switch to Bayern (via ESPN), has seen Benatia tipped to make an Allianz Arena exit at the end of the season. Our defence has been disappointing at times this season, with Arsene Wenger still unable to settle on his best centre-back pairing. Laurent Koscielny is obviously a mainstay, but Per Mertesacker and Gabriel Paulista both have real weaknesses in their games. 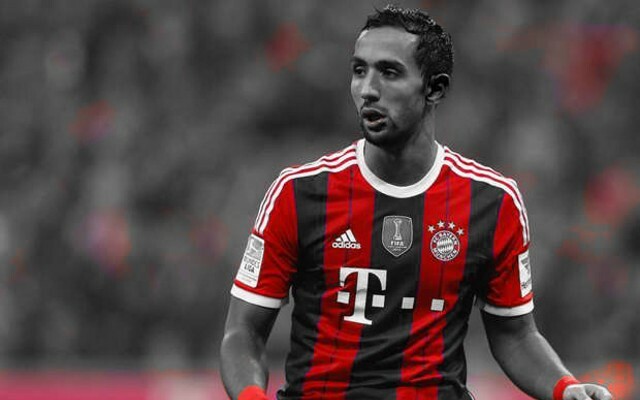 Although another injury prone defender is not what we need, you can’t deny Benatia is a player of real quality. It would be interesting to see how he’d fit into the side, but his comments suggest he’d much rather make the switch back to Italy. “I would certainly do it [return to Roma], everyone knows that Rome is a special place for me,” he told 90min (via the Mirror). There are arguably far better options for us to be looking at anyway, with Benatia’s performances for Bayern this season leaving a lot to be desired at times. Even if there are other options out there, Arsene Wenger is clearly a fan Benatia’s. We were heavily linked with him before his move to Bayern (via the Daily Star), and clearly Wenger is looking to make up for missing out on him in 2014.